Leslee Kowalsky-Sack discovers that her grandfather served in JDC’s Overseas Unit No. 1. “I need not tell you that everybody loves Kowalsky in Poland, and how can they help it? His love is not only an emotional love but a love of respect and admiration. Along with a recent donation to JDC, Leslee Kowalsky-Sack noted that her grandfather, Rabbi I.M. 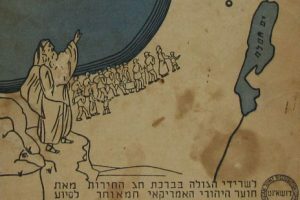 (Ichel Meier) Kowalsky could be found throughout the JDC Archives in the 1920s. A quick and curious search by a JDC archivist in the Archives’ online database yielded reports, correspondence, and photos of a man who achieved much in his time as an early JDC staffer. Members of JDC’s Overseas Unit No. 1. 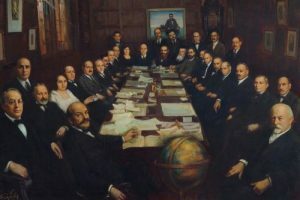 Rabbi Kowalsky is seated in the front row, second from the right. 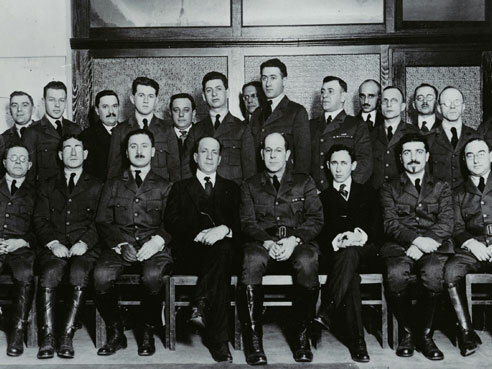 JDC’s Director for Poland, Boris Bogen (seated, fourth from left), led the Unit. Leslee’s grandfather, Rabbi Kowalsky, was born in 1890 in Zagarow, Poland, but left in 1908 to settle in the United States. Once in the States, Rabbi Kowalsky traveled the country and served as Rabbi in a different synagogue every weekend in those towns that could not afford to hire a Rabbi full-time. When not on assignment for JDC, Rabbi Kowalsky, his wife, and three children (his son, Harry Aaron Kowalsky was Leslee’s father), lived in Brooklyn, but they did join him in Europe for a period of time. Though she was only five years old when he passed, Leslee had always known of her grandfather’s connection to the Joint. She had copies of letters he sent and that were sent to him, as did her father. Despite all of that, however, Leslee says she has learned much more about her grandfather in the past few years since the JDC Archives began to digitize and provide access to its materials on its online database. Since then, she says, she has found more correspondence and was even able to identify her grandfather in some of the JDC Archives’ photos. After browsing these photos, reports, and letters, Leslee was surprised to learn that her grandfather wore a uniform in his line of work and that he could write English so flawlessly. As it turns out, Rabbi Kowalsky was not only an early JDC staffer, but more specifically he was also a member of JDC’s Overseas Unit No. 1. Rabbi Kowalsky’s involvement with the Joint began in the 1920s when he was recommended to the Governor of Massachusetts as someone who could help Jews in need overseas. He was especially qualified, as he was fluent in 17 languages and dialects! Dozens of qualified field workers, primarily American social workers, were recruited in late 1919 to plan activities and to investigate local and regional needs firsthand in Poland. The members of Overseas Unit No. 1, including Leslee’s grandfather, represented “every element of American Jewry” and were the first staff unit that JDC sent overseas. 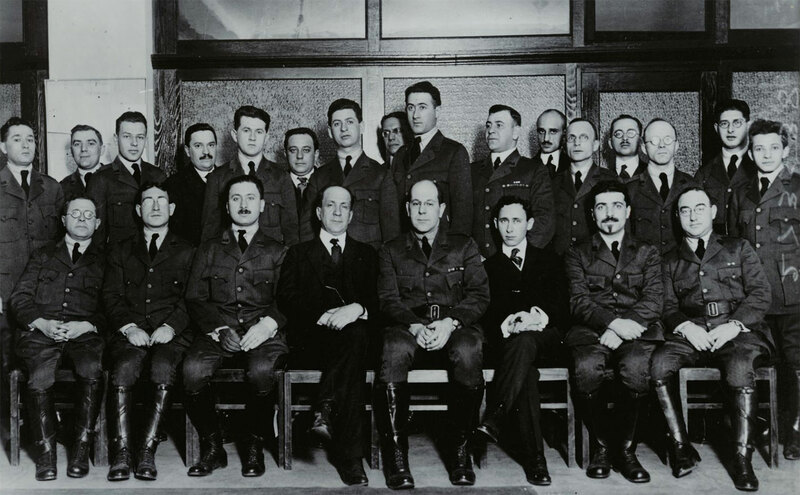 The Unit arrived in Paris en route to Poland in February 1920 and branched out from Warsaw to set up urgently needed sanitary, medical, and child care programs throughout the region. According to a report by Boris Bogen, Rabbi Kowalsky’s first field assignment was in Lodz “…to adjust serious difficulties that ha[d] arisen between the distributing committees there.” From there, Rabbi Kowalsky worked across Eastern Europe, first as the Director for the Brest-Litowsk territory and later as JDC’s representative in Kiev. 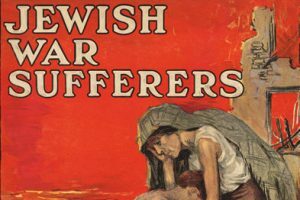 In these roles with JDC, he rendered relief to impoverished Jews in Eastern Europe and was beloved by his colleagues and those he helped in the field. With help from the JDC Archives online database, Leslee was able to fill in the gaps of her grandfather’s story. Explore your own family history with the JDC Names Index. Leslee Kowalsky-Sack lives in Prince Edward Island, Canada. This story has been shared with her permission.